We are looking for 1 roommate to share the available room with double deck. The upper deck is occupied so the lower deck is available. Condo is fully furnished, with kitchen, TV with cable, refrigerator, etc. The Condo Unit is just beside the Boni MRT station and very accessible to everything you will need. The Light Mall is just across the street and there are 24/7 fast food restaurants. 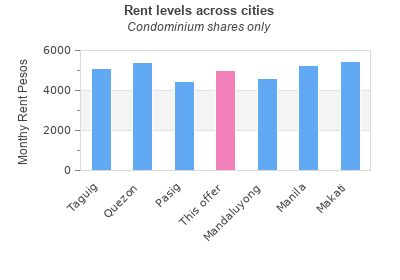 •	EASY ACCESS to Makati and Ortigas business district via MRT. •	STEPS from Bus Transits and MRT. You searched for GA Tower 2, EDSA, Boni Ave., Mandaluyong City and this page shows the full details of this accommodation to let. This Condominium is located in Barangka Drive in Mandaluyong. This property has bedrooms, bathrooms and the rent is PHP 5000 monthly. This accommodation for rent was last updated on 2019-03-24 14:42:12. The classified has been displayed 43 only today. 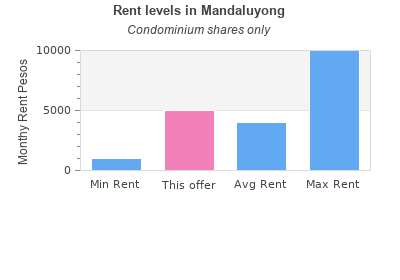 You can see other lettings in Mandaluyong. 4 hereford st. Proj 8 Q.C.